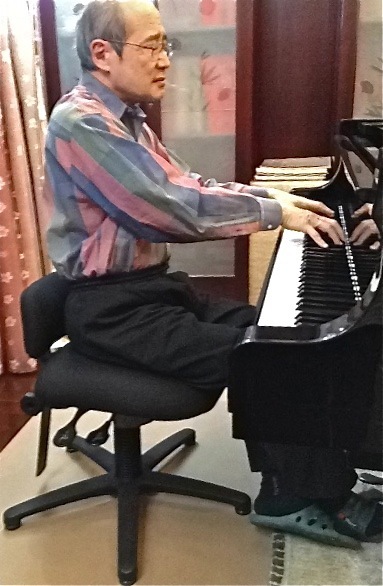 Meet Paul Leu, CEO Ruyue Ltd., Shanghai; teacher of the taiji approach to piano playing. 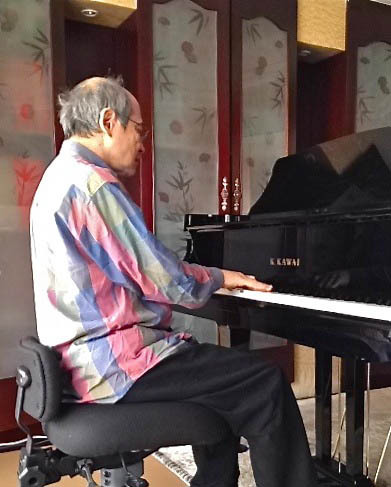 “The Concert Design piano chair is a godsend for pianists. It is to my knowledge the only ergonomic chair for the piano, and its price is amply justified. Personally I would never want to be without it again (I have one at each of my homes), and I would willingly pay three times the price. I feel so strongly about this because my teaching is focused on the optimal use of energy in playing, hence I am particularly aware of the importance of sitting well. Most piano benches or chairs easily cause energy stagnation in the hip area. This will affect the way we play, and in time can also cause serious health problems. The Concert Design chair prevents cutting off circulation at the hips, and makes it easier to maintain a healthy vertical posture both through its form and through its adjustable tilt and height. The comfort of course is immediately apparent.